Come Thursday; legs start getting restless; mind starts wandering in Sahyadri; brain starts finalizing the next trekking destination. For trekking on Sunday, 20th July I had many options to choose from; Mangalgad with Onkar Oak, Sudhagad with WTA friends, Madhe Ghat with Trek Roots Group. Since long time, I was planning to do a trek with Onkar Oak, who is the veteran of 250+ forts, writes in Loksatta and blogs on offbeat trekking destinations. So I had almost finalized the plan to go with Onkar but on Thursday, Onkar messaged me saying that trek had to be postponed as his local contacts near Mangalgad had advised not to come because of the incessant rains. I was a tad disappointed to miss the chance to trek with Onkar but I also hadn’t met my WTA friends since many days and I was also eager to meet these friends; so I immediately finalized the plan of Sudhagad and joined Wild Trek Adventure Club (WTA) friends. 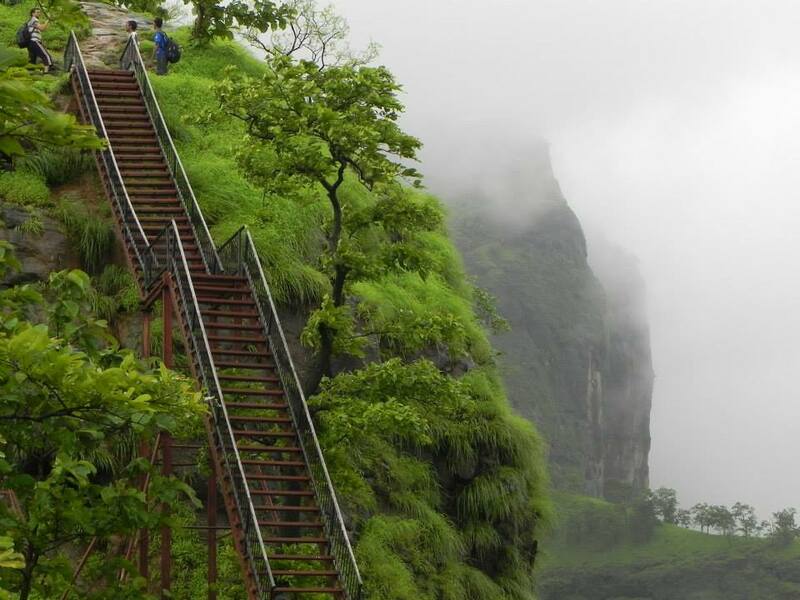 Sudhagad (also called as Bhorapgad), at an height of 2030 ft above sea level, is situated near Pail in Raigad district. The origin of this fort is said to date back to 2nd century BC the same age as the Thanale Caves and Khadsamble caves nearby. This fort is replica of Raigad and was considered as the prime candidate for Capital of Maratha Kingdom but lost to Raigad because of Raigad’s proximity to Arabian Sea. Chatrapati Shivaji Maharaj renamed the fort from Bhorapgad to Sudhagad. According to the Puranas, Sage ‘Bhrugu’ had stayed here and he had established the temple of Goddess ‘Bhorai’ on this fort. I was joined by two of my friends, Hetal Shah who is my colleague and Sandeepak Phadke whom I had met earlier during Visapur Trek with Trek Roots Group. We met in front of Shivajinagar Railway Station around 6 AM and after having a breakfast of Tea and Maska Bun at Irani restaurant, we boarded mini-bus arranged by WTA at Sancheti bridge. Few members joined us at Wakdewadi, Dapodi, Nasik Phata and Chinchawad. Prasad Wagh, founder of WTA and his twin brother Prasanna Wagh joined us at Talegaon Dabhade. The whole journey was amidst the rain and we reached Pali around 10.15AM. Most of us visited Pali Ballaleshwar Ganapati Temple, one of the eight temples of Lord Ganesha before proceeding to a snacks joint where we had delicious and hot Vada-Pav and Tea. 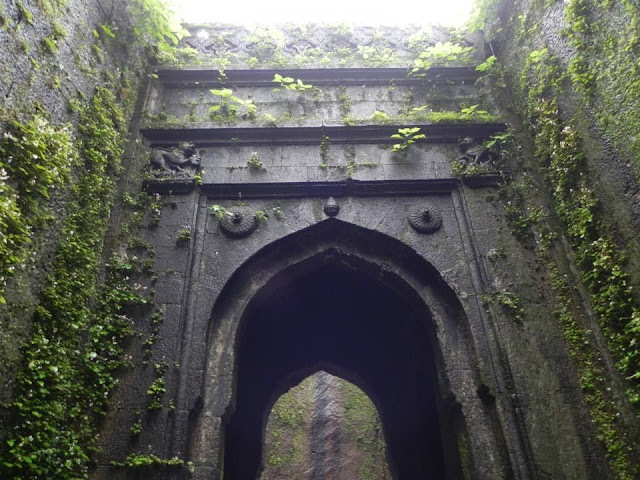 There is a fort named Sarasgad in Pali. 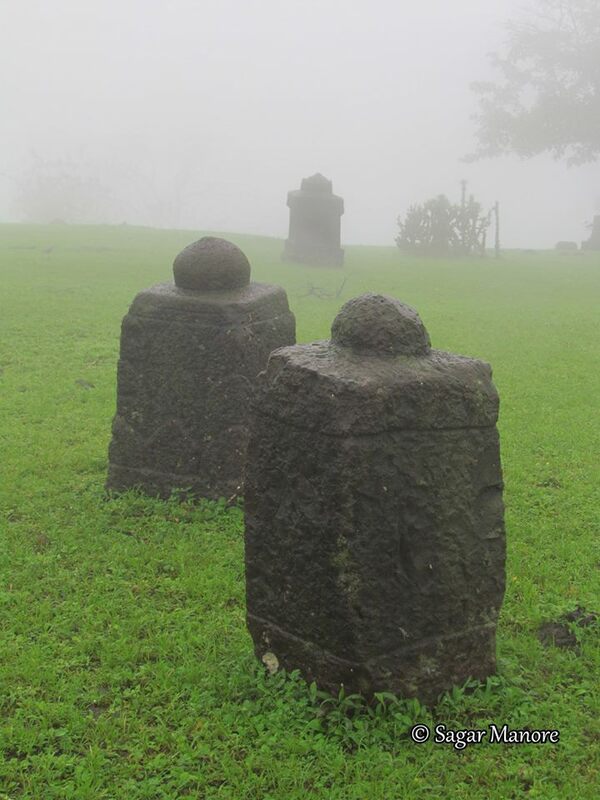 Some trekkers combine Sarasgad with Sudhagad as both these forts are very near to each other. After breakfast, we proceeded towards the Pachchapur Village, base village of the fort. This village has a historical significance as Sambhaji Raje had met Akbar (the rebellious son of Aurangjeb) in this village. After having the introductory and instruction session from the group leader and certified mountaineer Prasad Wagh, we started our trek. Everything was lush green and it was picturesque everywhere. Who says life cannot be colorful at 50? Oldest member in our group, Smruti Desai enjoying each and every moment. We had to cross some simple rock patches along the way. Because of the rain, rocks were covered with moss and we had to be cautious while taking each step. 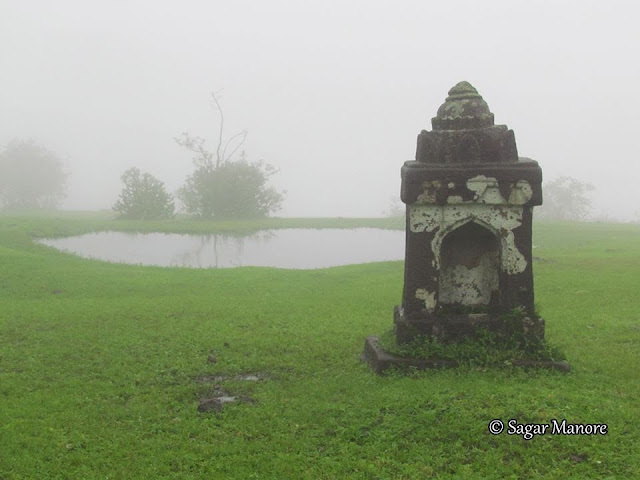 Sarasgad was looking enticing along the way. Soon, we reached to a ladder. Actually,there are two ladders installed; left one is old one and bit dangerous and new one is quite safe and sturdy. This is the old ladder. As you can see, it is bit dangerous as there is a steep valley next to it. New ladder is quite safe and sturdy. This new ladder is installed for the safety of the villagers who visit Sudhagad during annual yatra. There are few railing installed to avoid the free fall in the valley in case of low visibility. Cows having a wonderful time in feasting on lush green grass! Hope they get such grass even in Summer. After climbing for further 15-20 minutes, you come across Pachchapur Darvaja guarded by two bastions. There are large and slippery boulders along the way and you need to be very careful to avoid slipping. After entering Pachchapur Darvaja, you come to a small plateau. From here, you can get a breathtaking side view of the fort. You then need to reach to other plateau. In monsoon, you can spot many streams along the way. Soon, we were on top of another plateau where we had a small group photo session. Water cisterns: There are many water cisterns on the fort. There was a lot of soil accumulated in these cisterns and water had become unusable. Thanks to the efforts of TrekShitiz group, water of these cisterns have become potable once again. TrekShitiz group almost removed 1 truckload of soil from these cisterns. Amazing dedication and great job! 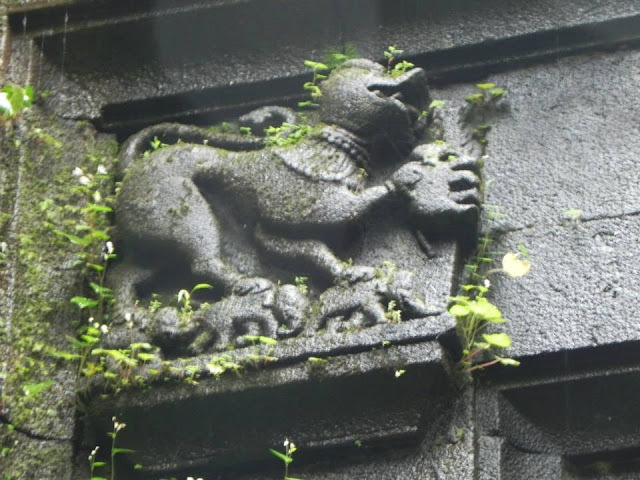 Pant Sachiv Palace: In the regime of the Peshwas, the ‘Pantsachivas’ of Bhor became the custodians of this fort. After the annexation of princely states in 1950 the fort became patron less. As a result, the fort is in a state of ruins, even though it escaped the wrath of the British. This palace is in dilapidated condition now. Still it can host 50 people for accommodation at night. Bhoreshwar Mahadev Temple: This temple is very near to Pant Sachiv Palace. Really a very serene place surrounded by green forest! While going towards another secret door, you come across a small stream with pure water. This stream is active till December and at one point was the main source of water on the fort when other water cisterns were filled with soil and contained undrinkable water. Chor Darvaja: This is a secret door built for the emergency escape route. There was a small stream directly falling at the entrance and water was gushing through Chor Darvaja. We made our way through this water to the bottom and had few scary moments as it was dark inside.Climbing through this Chor Darvaja was even scarier as water was directly striking your faces and there was almost no visibility. As WTA members had already done this trek in monsoon last season, they knew that there was not any danger and allowed all of the members to experience the thrill. Maha Darvaja/Dindi Darvaja: This is replica of the Maha Darvaja of Raigad. The construction and arrangement of this door is of the type called “Gomukhi” (in shape of cow’s mouth). This door is well protected since it is hidden in between two huge bastions. Access to this Gate was restored as part of restoration initiative by TrekShitiz group on the fort. This door was submerged under the soil and boulders accumulated because of the erosion in the heavy rain. Thanks to the efforts of TrekShitix, this door is in far better shape now. Bhorai Devi Temple: This is the presiding deity on the fort. Group of 20-25 can be easily accommodated inside this temple for the overnight stay. Ancient Bell and Wooden Tiger are worth seeing. After taking the blessings of the goddess, we proceeded towards Takmak Tok. It was raining and there was a heavy fog while we were going towards Takmak Tok. This peak is very similar to the cliff “Takmak Tok” on Raigad. From this peak Dhangad, Korigad, Tel-Baila can be seen very clearly. Similarly river ‘Amba’ and the villages surrounding it can be seen from this place. Unfortunately, we could not locate other forts; still we had glimpses of Amba river from the top. After witnessing Takmak Tok, we started descending. Rain was pouring heavily and everything was surrounded by clouds and there was hardly any visibility. Descending was difficult because of the slippery rocks and we had to help few members who did not have enough expertize and proper shoes to negotiate the slippery patches. We finally reached to the base around 7PM just before it was about to get dark. We proceeded to Pune immediately as we had to return to the office next day. We did not take any break and reached to Shivajinagar around 11.45PM. I reached safely to home around 12.15AM and after drinking a glass of milk, went to sleep to get ready for the next day! Amazing ladder route, breathtaking views along the way, serenity in the temples, passing through Chor Darvaja through the gushing water, lashing of heavy rains while descending made this trek an unforgettable experience. I would love to visit this fort in Winter from the other route. Accommodation: Available at Pant Sachiv Palace and Bhorai Devi Temple. Water: Ample water is available in water cisterns. Till December, you can make use of water in the streams. Food: Not available. Need to give prior order to Mr. More on the fort. I will provide the number once I get it. Best Seasons: Monsoon, Winter. 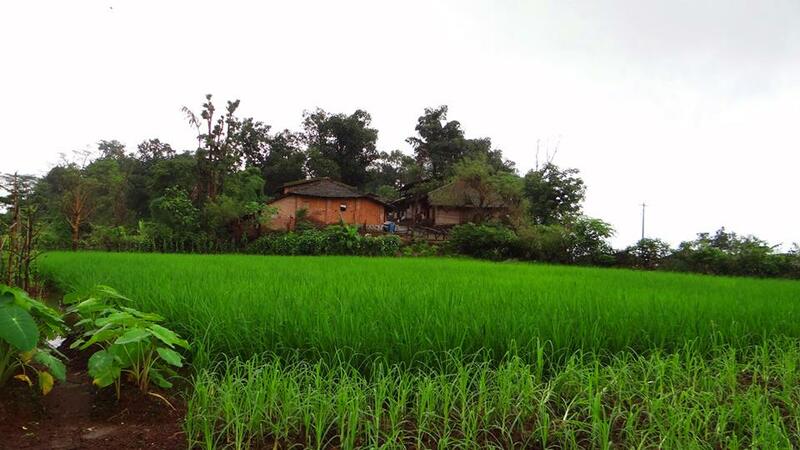 In summer, humidity in Konkan region will exhaust you. Too good. I feel like going for a trek after reading this blog. Hi Prashant..how did you create this blog..? Do tell me.Also it was very useful to me as i am going to Sudhagad tomorrow i.e 28th Aug 2016.